Home » life » Can you keep a secret? There is a lot of trust when a secret is told. Oh, Diaaaannnneee...I so know how you feel. Been on both sides of that damned road. 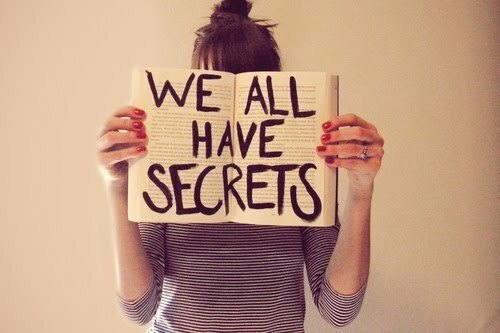 The only way to keep a secret is to never tell anyone. It's happened to me, too. Twice, to be exact. But I've learned my lesson. I'm now very careful when it comes to sharing a secret with someone. Sa huli kasi, ikaw pa ang lalabas na masama kahit maganda ang intensyon mo. Sana lang ang mga tao kapag sinabihan na secret, i-secret talaga. Totoo yan. Ilang beses na akong na-burn ng ganyan. Even if you're telling them to protect them, ikaw pa ang contravida. Alam mo, Edel, weird pa. Alam ng lahat na ang daldal ko, and yet they continue to pour their secrets sa akin. It's as if gusto nilang lumabas talaga ang sikreto. Haha. I was looking for your Sunday party...?